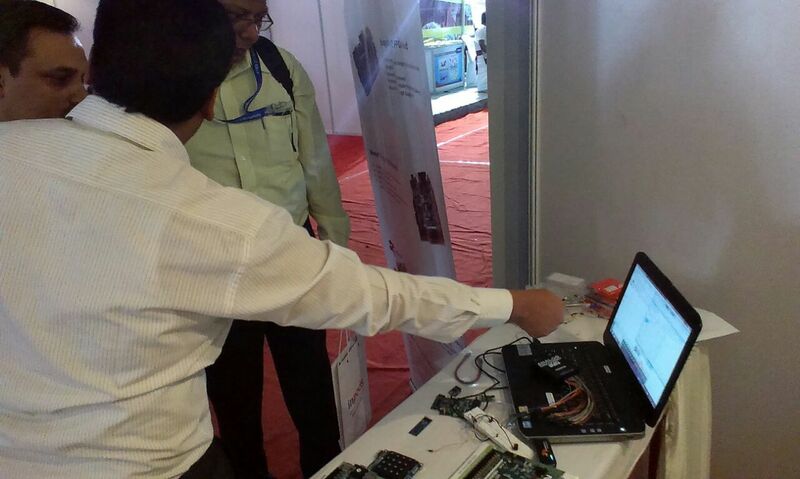 CoreEL Technologies, Digilent’s exclusive academic partner in India, attended the second Indo-US Collaboration for Engineering Education 2015 (IUCEE) in Bangalore January 7-9. 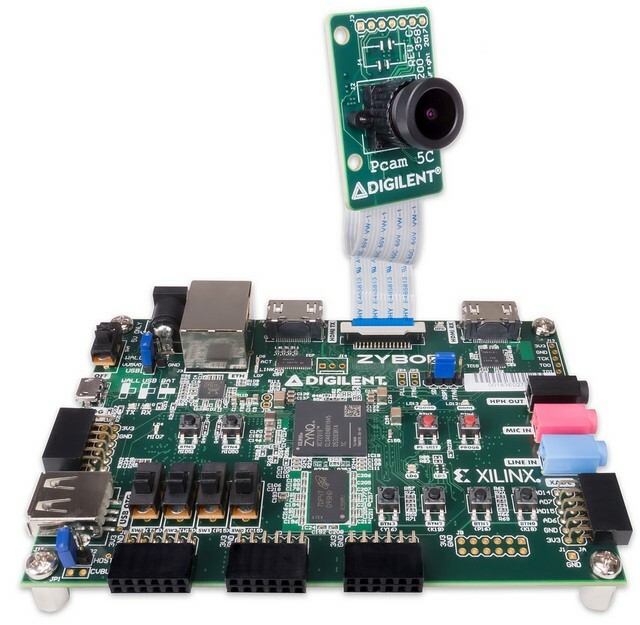 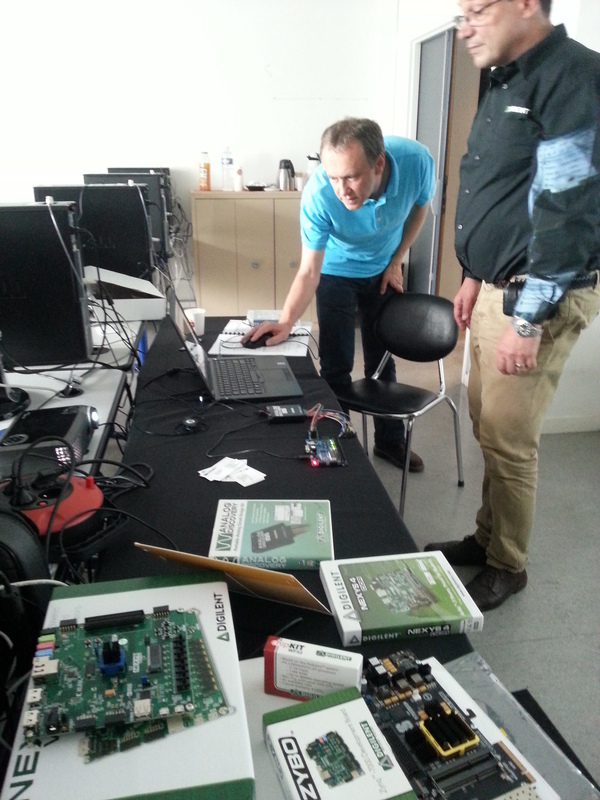 They showcased the demo powered by the Digilent Zynq FPGA development board, Analog Discovery, and Basys 3 Artix-7 FPGA development board in the booth and held a workshop to teach the embedded design on Xilinx’s All Programmable Zynq SoC with the Digilent Zedboard. 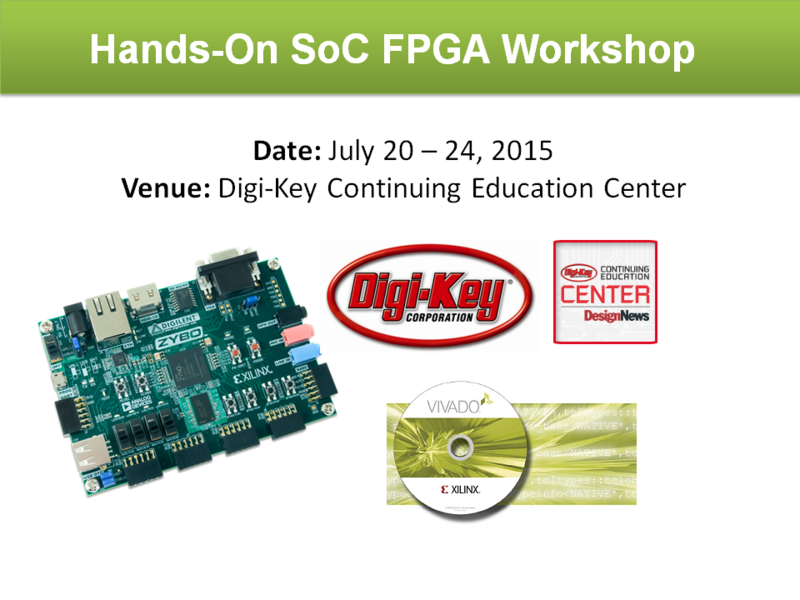 FPGA Design Flow Using Vivado Workshop! 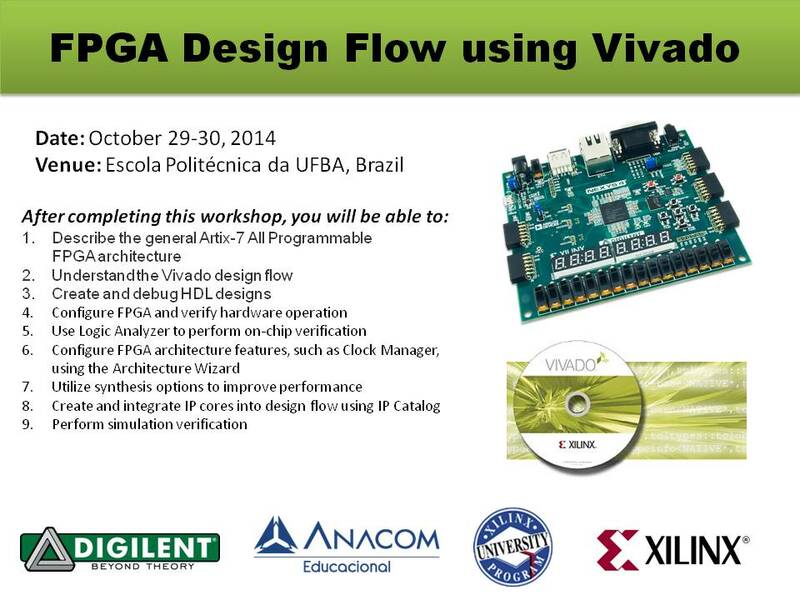 Digilent is proud to announce that together with our Brazilian distribution partner, Anacom, and our academic partner Xilinx University Program, we will be hosting a workshop, “FPGA Design Flow using Vivado,” from Oct 29-30. 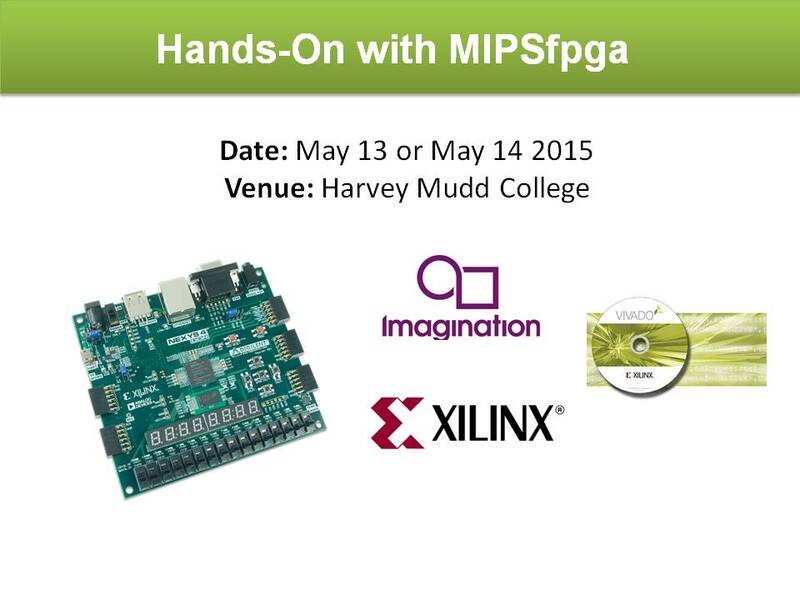 This course will provide professors with an introduction to digital design tool flow in Xilinx All Programmable devices using Xilinx Vivado Design Suite. 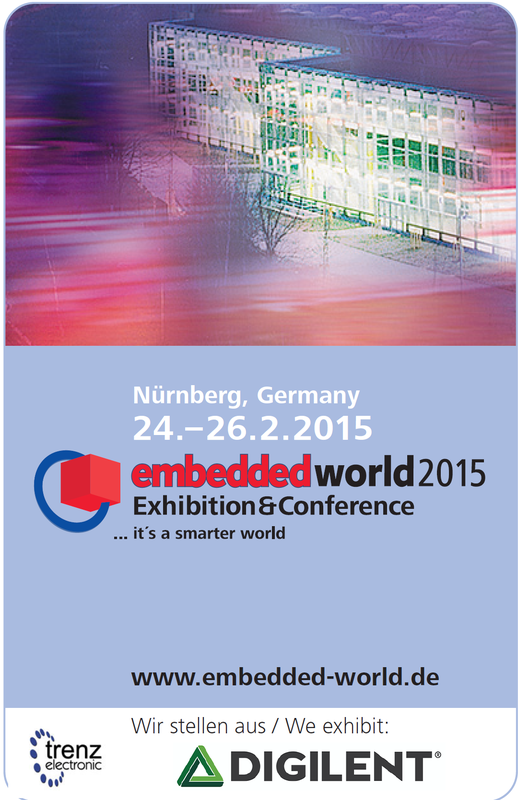 It will be held at Escola Politécnica da UFBA, Brazil. 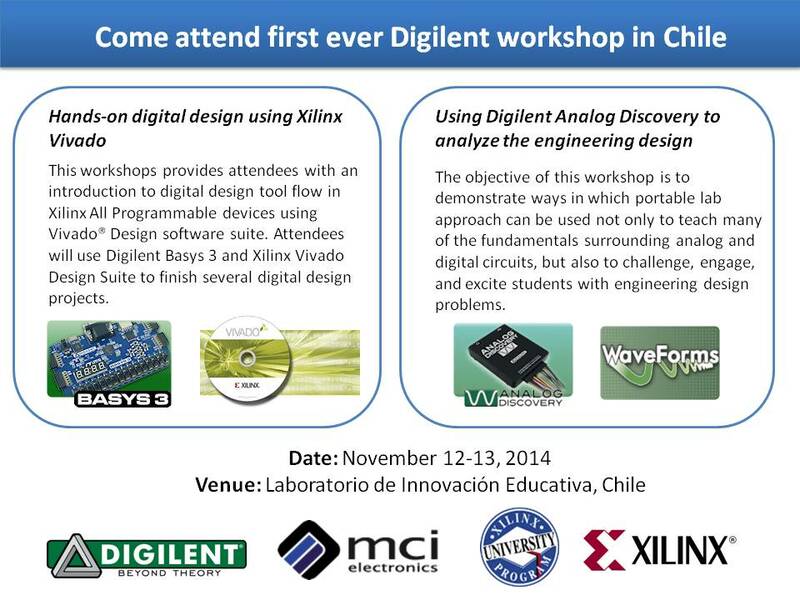 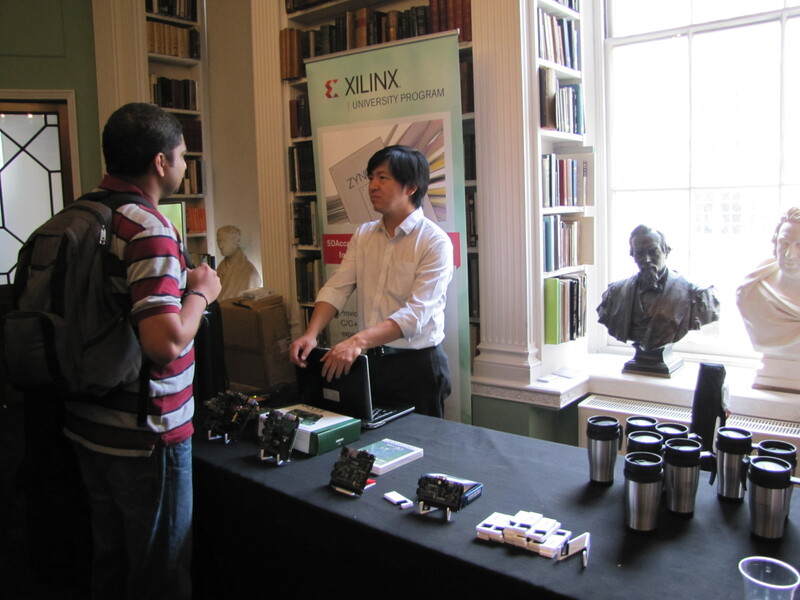 Attendees will use the Digilent Nexys 4 and the Xilinx Vivado Design Suite to gain the hands-on experience with digital design, basic HDL knowledge, Xilinx 7-series architecture overview, and Xilinx Vivado design suite. 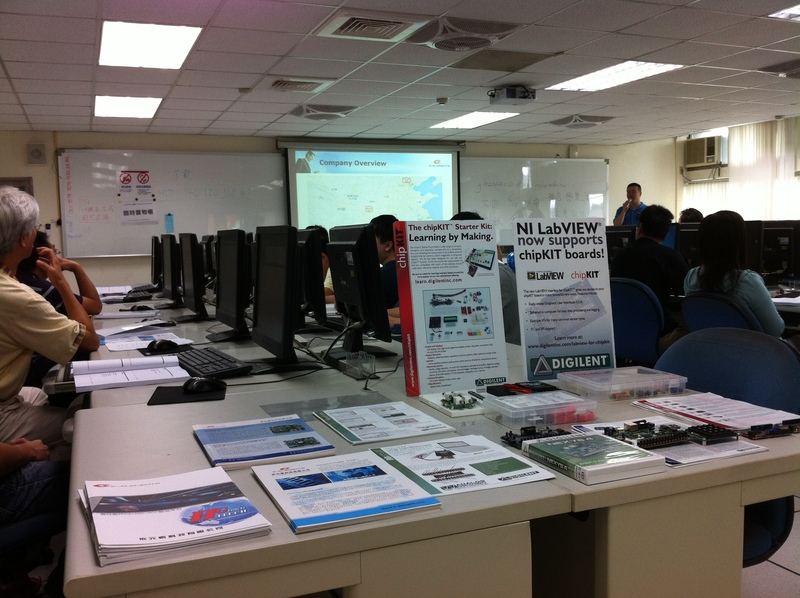 Before I conducted the joint CoreEL workshop in September, I went to Taiwan to show educators how to teach electronics using the Digilent Analog Discovery and chipKIT. 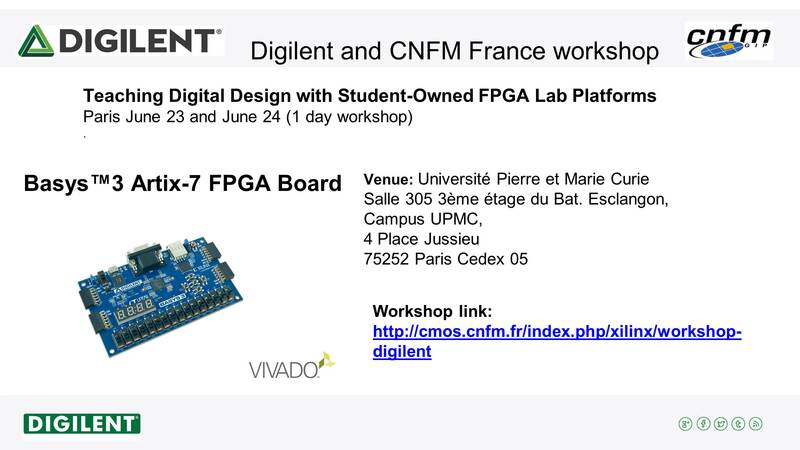 This was a joint effort with E-elements Technology, Digilent’s distributor and Xilinx’s academic training partner in Taiwan. 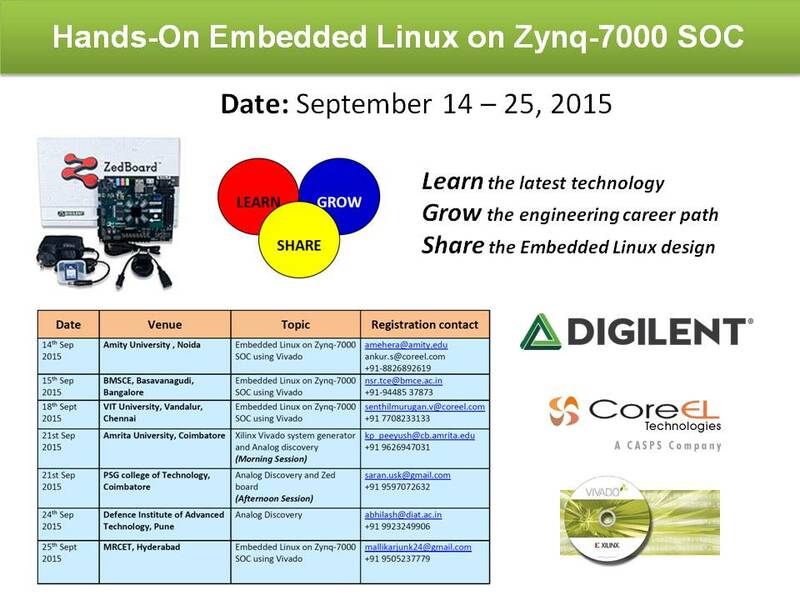 Field application engineers from E-elements showcased the Xilinx Zynq-7000 All Programmable Systems on Chip (SoC) with the Digilent ZEDboard. 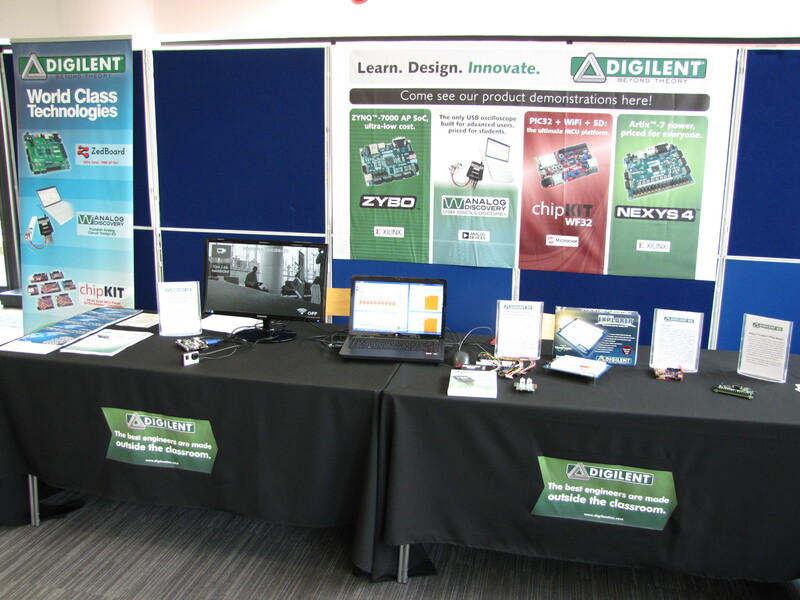 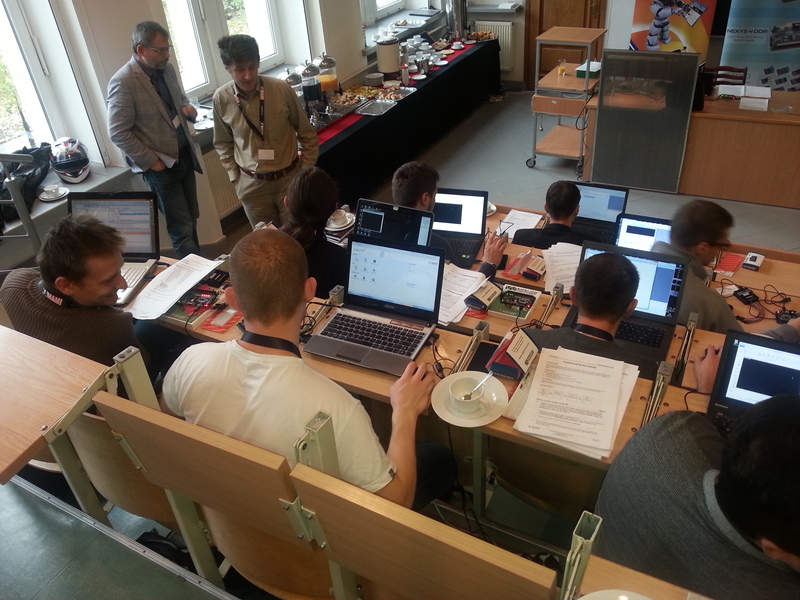 Digilent and Trenz at SEFI Conference 2014! 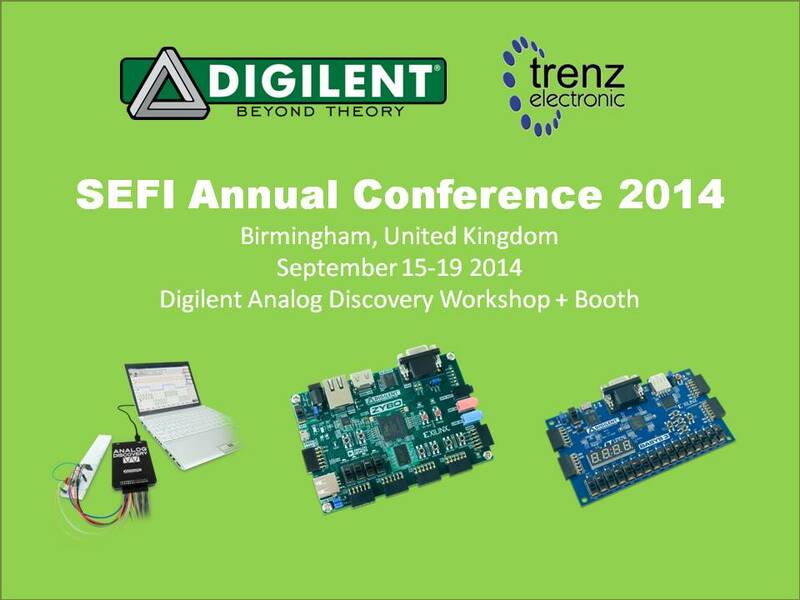 Digilent is happy to announce that we will be at SEFI from September 15-19. 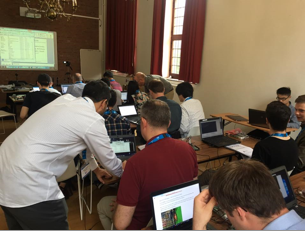 The SEFI Conference is being held at University of Birmingham, UK. Digilent will have a workshop called “Hands-on Learning with All-in-One Portable Sab” on September 16. 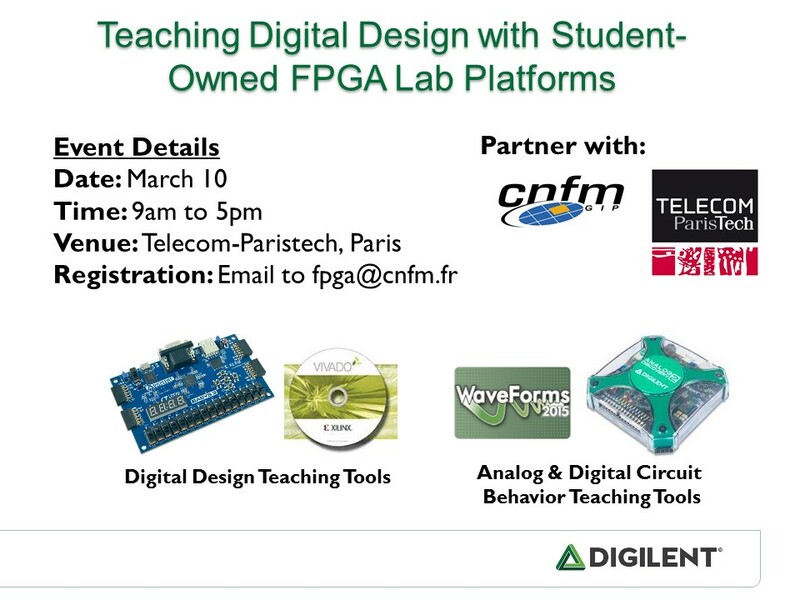 Dr. Mircea Dabacan from Technical University of Cluj-Napoca will demonstrate how active learning modules using the Digilent Analog Discovery can be integrated into undergraduate circuits and electronics courses for majors and non-majors, as well as into outreach programs for high school students. 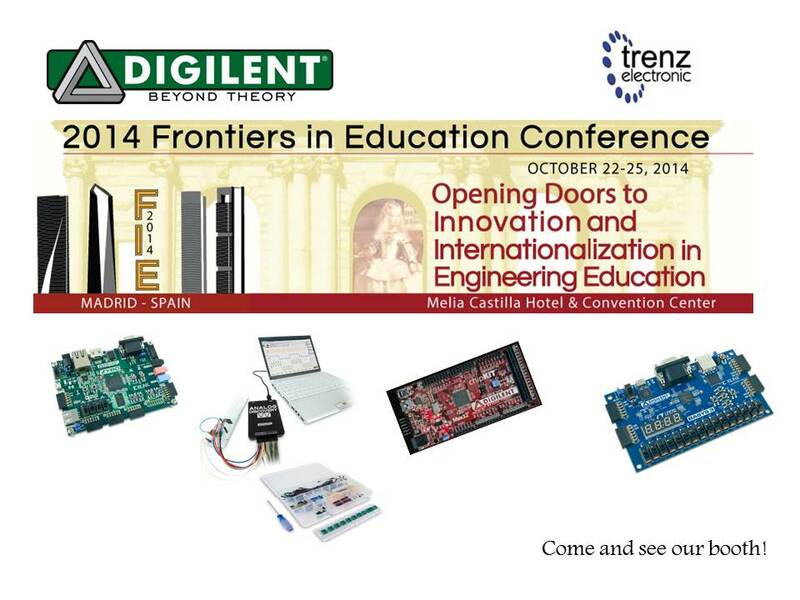 Digilent will also have a joint booth with Trenz, Digilent’s EU Partner, in the exhibit hall. 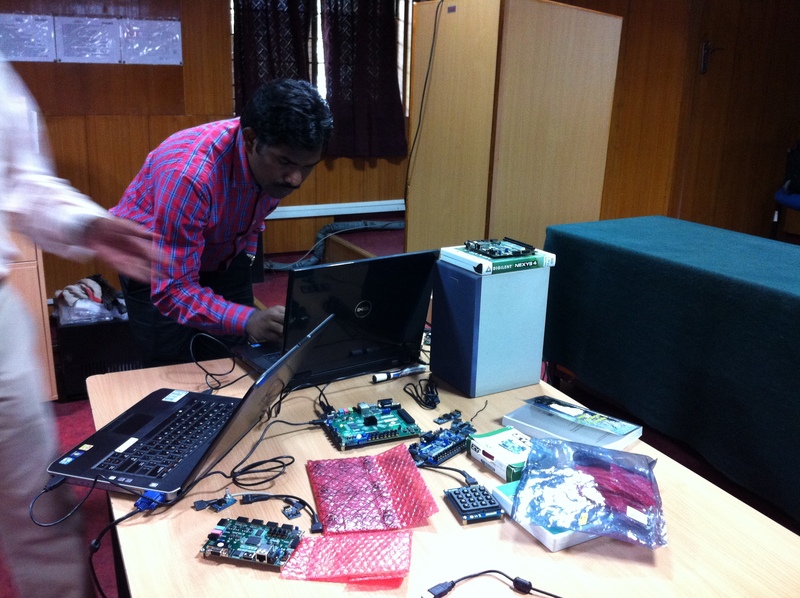 Joint Workshops with CoreEL Technologies in India! 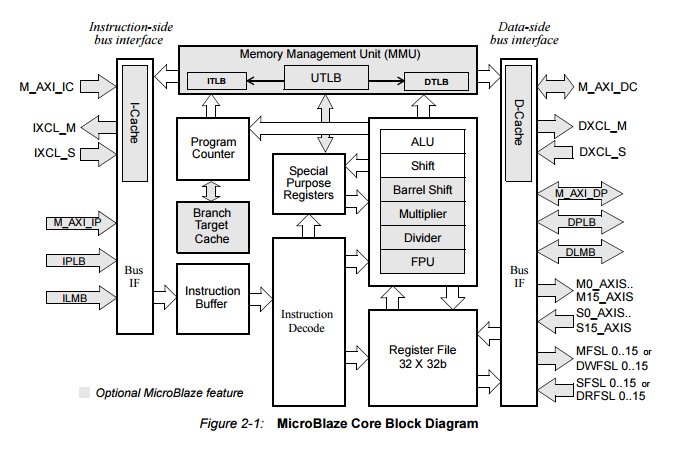 August 29, 2014 - by Alex Wong - 2 Comments. 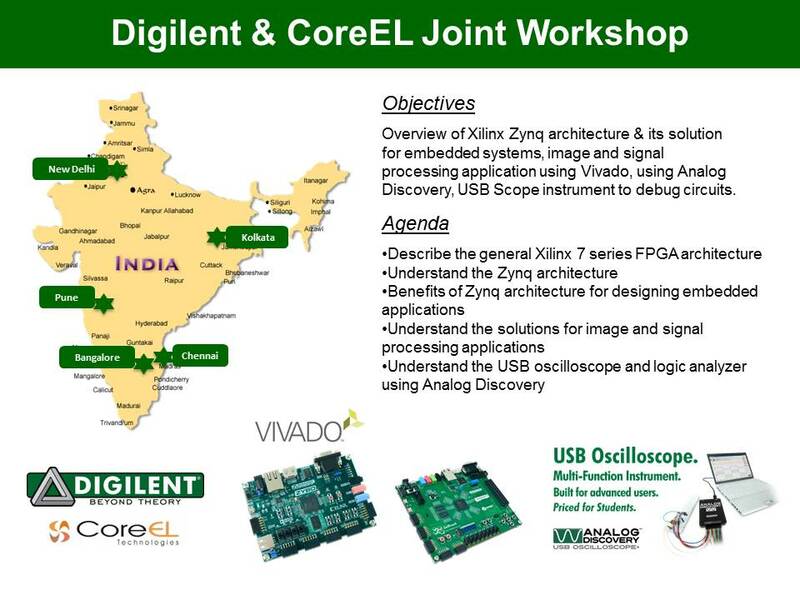 Digilent and CoreEL Technologies, Digilent’s distributor in India, will jointly hold 5 different workshops from September 1-5 in several different cities in India.